Jack Black stars in The D Train. Written and directed by Jarrad Paul & Andrew Mogel. 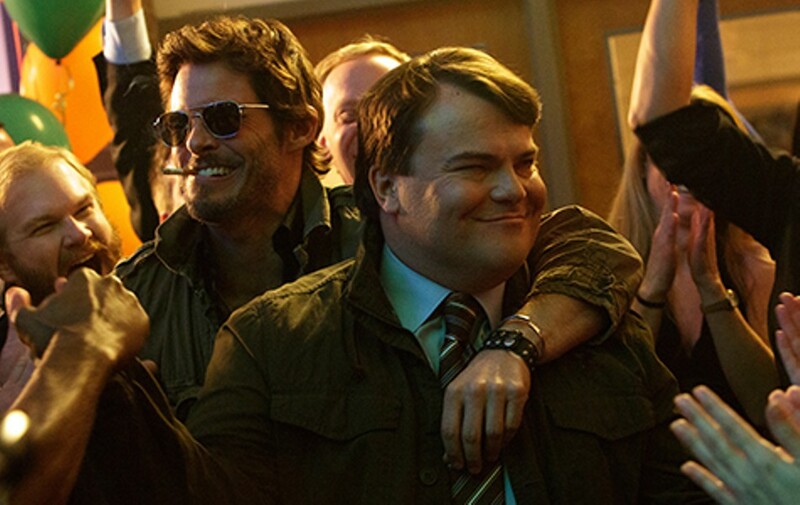 With Jack Black and James Marsden. Now playing. Take the basic framework of any "bromance," combine it with a dollop of Brokeback Mountain and more than just a squirt of Chuck & Buck, and you've got a pretty good idea of Jarrad Paul and Andrew Mogel's The D Train before you even go in to the theater. The question is: Knowing that, do you want to go into the theater? 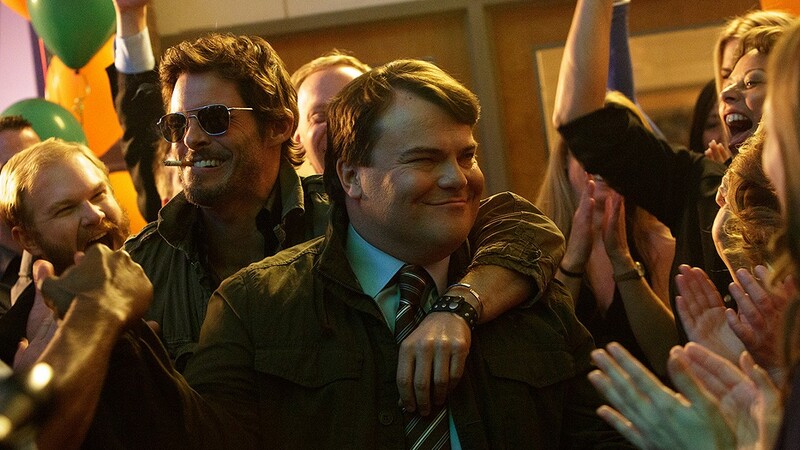 Jack Black plays Dan Landsman, a humble office worker who finds himself in charge of his former high school class' reunion celebration. Dan is the sort of over-eager guy who finds it necessary to invent a pathetic string of "hip" nicknames for himself: D Fresh, D Rock, etc. Nevertheless, as with his fellow noodge/nerds in other movies, Dan never gets any respect. That is, not until he hatches the idea to invite studly Hollywood actor Oliver Lawless (James Marsden), an ex-classmate whom Dan sees on a TV commercial, to the reunion. The attention-getting scheme involves Dan's unwitting boss (Jeffrey Tambor), various ruses, and ultimately, Dan's wife (Kathryn Hahn) and teenage son. What starts out as a routine bro-centric sitcom at some point enters new territory. We refuse to spoil the plot any further, other than to say that it takes us to a place at which James Franco, Seth Rogen, Danny McBride, and other bromantic comedy protagonists stop short. We have to give actors Black and Marsden and the filmmakers credit for the courage of their convictions. In such bromedies as Pineapple Express or the Hangover movies, one of the boys typically turns to his buddy and tells him, "Man, I really love you." The D Train has the guts to take that chickenshit posturing to its logical next step, whether we're comfortable with it or not.